Wall-E was just a young dog when he was first adopted from Maricopa County Animal Care and Control (MCACC) back in 2015. The Lab mix’s new family brought him home and gave him lots of love and care. In fact, they bought lots of toys and treats for the formerly homeless dog and they spoiled him rotten. 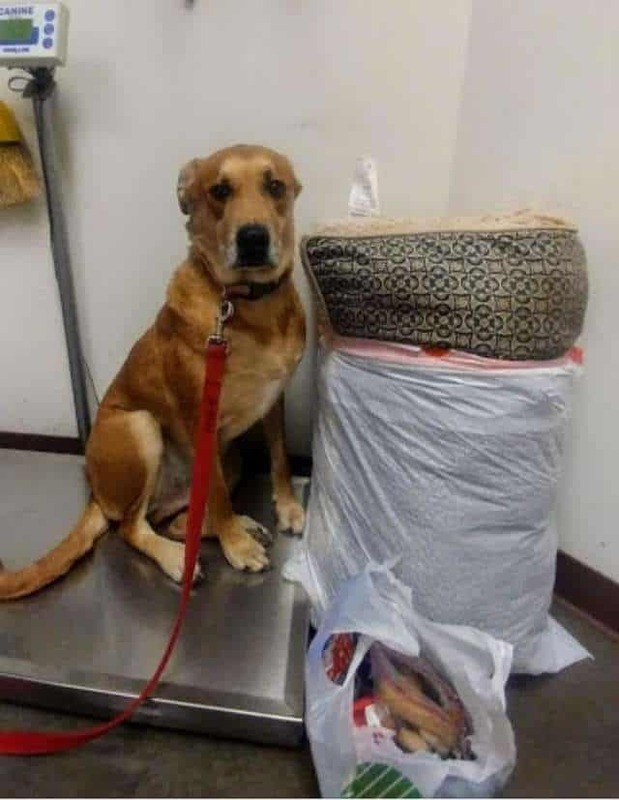 However, one day this September, Wall-E was left at the shelter with all his possessions and dog bed bundled up into two trash bags. The 6-year-old dog had been abandoned and he was noticeably confused and anxious about being left behind. 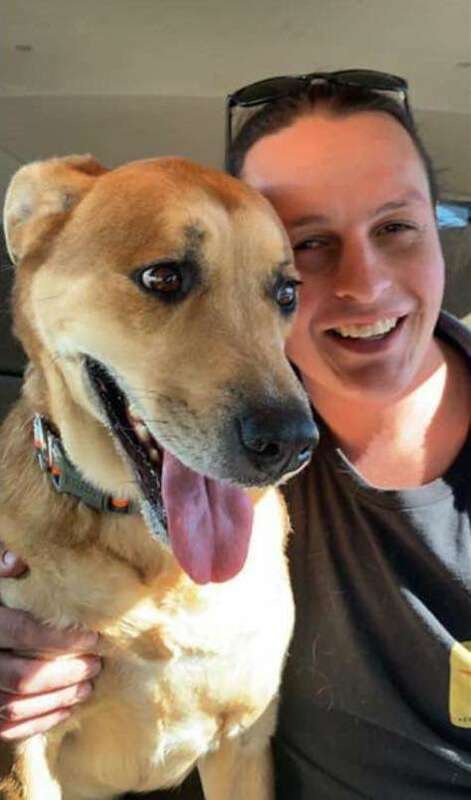 He couldn’t understand why he was being driven back to the Arizona shelter by his owner, who was in floods of tears. Wall-E had been abandoned once again and he was heartbroken. He was surrendered by his family because they did not have enough time for him. He was very scared. In his kennel, he would bark and bark. The shelter was hardly luxury, because of issues with space, Wall-E couldn’t keep his toys or his bed in his kennel. He started to fall into a deep depression without his home comforts. When potential adopters would visit the shelter, they would head straight past Wall-E who seemed defensive and hostile. He was nothing like his former self, a once happy and loving dog. The shelter staff knew how sweet Wall-E was, they just needed to convince others. Because of his kennel presence and evaluations he was passed up by many people, [but] with volunteers he was very sweet and playful and loved doing zoomies. For two months, Wall-E sat in the busy shelter with no signs of escape. He had started to give up and his personality had drained. That’s when Bader had an idea to try and find the loving dog a forever home. About six volunteers and I run the [Facebook] page and network for the shelter dogs. We knew this picture would be heartbreaking and would get a lot of attention, but we had no idea it would blow up like it did. We had so many people interested in him. Thankfully, Lynn Lee spotted the picture and she was so moved – at that moment, she knew she had to have Wall-E. She rushed down to the shelter as quick as she could to adopt the adorable dog. Bader’s plan had worked. They have been amazing, Wall-E gets along great with the family, loves dog parks and cuddling. With a new mom to love and care for him, Wall-E has his smile back and he we couldn’t be happier for him. Luckily, he’s got used to his new dog bed and toys pretty quickly.